The Canyon Jug is—by far—the best waterproof container you can get for canyoneering through swimmers. 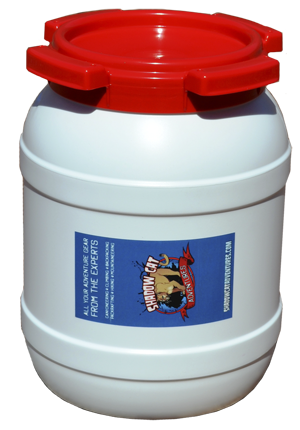 If you are headed out to drop into a fun, non-technical canyon like Wet Beaver Creek or a brutal long 16 hour canyon in Zion, like Heaps, the Canyon Jug will keep all your food, clothes and gear dry. It can also withstand the impact of a 180 foot pack toss off the top of a raging waterfall. And the canyon jug floats when you flip your packraft. Forget about double bagging your stuff in two dry bags. This is a better and cheaper alternative to that method. Plus it is a much easier, quicker access to your chow. I haven’t found any in the five years I have been using mine. Yes, it is the same one. How many times have you replaced your drybags? Why would you use anything else? Get yours today at the Shadow Cat Adventures Gear Store.